Giacomo & Roberto invite you to come & enjoy authentic Italian food & great homemade desserts. We are committed to providing a very pleasant dining experience. Spiedini Alla Romana - Baked layers of mozzarella, prosciutto, & bread in an anchovy sauce. Capellini Malafemmina: Capellini with mussels, clams, shrimp, baby scallops & lobster tail in a garlic white wine sauce. Magnifico! Dentice Marechiara: Filet of Red Snapper sautéed with shrimp & clams in a light tomato broth enhanced with basil & thyme. This is Florida Gulf Coast red snapper. The best! Bistecca Scordato: Sirolin steak oven baked, sliced, topped with seasoned breadcrumbs, Parmigiana & garlic. If you have not had steak prepared this way, you need to try it. How about desert? We have Homemade deserts of which the Carrot Cake is the most popular. We have heard many times "This is the best Carrot Cake I ever had" All our Gelato is from Italy. Some of the best you will ever have. Vanilla, Chocolate, Hazelnut & Pistachio. We always appreciate comments from customers who visit our restaurant. You came to our restaurant on 4/19 and realized it was a bring your own. You left to purchase some wine but, never returned. Perhaps your review relates to a different restaurant. I would appreciate you clarifying that as reviews are so important to all of us. Thank you. Ate lunch there for the first time with another couple. The owner was friendly, gracious and attentive. The food was enjoyed by all. We are planning to return. Always delicious and never disappoints! i prefer the linguine and seafood and I love it. My husband always get the veal and large portions and tender. Would highly recommend. All the members of our party loved their entrees. The red snapper and Chilean sea bass special were perfection. The appetizers were also delicious. We shared the endive salad, calamari special and stuffed artichoke. The only area of improvement was that we seemed to have lost the attention of the servers after our food arrived. We had to flag down the bus boy and hostess to get a check and flag them again to run the card. Luckily we were not in a rush. Definitely will return and recommend. We were disappointed. Food was lacking flavor and quality. We thought the servers were efficient, however, the food was tasteless. was not friendly or trying to endear to new visitors. Food good but needs to find their own distinct style. Excellent competing restaurants in area. This is the third time eating here. Everything has been great. All of our guests raved about food. 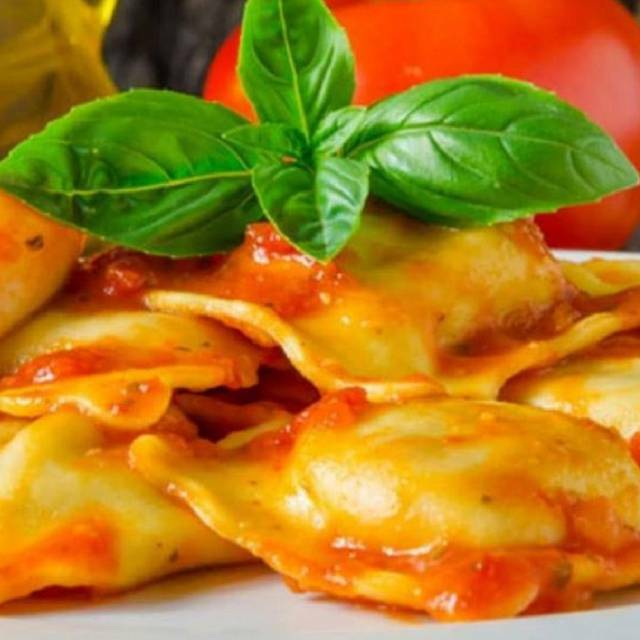 Must try homemade pasta's. Owner and chef couldn't be nicer. Very hands on. Wonderful find. Great food, great service. We will be back. This was my first time here. The service was very nice, we were not rushed at all. And the apps and the dinners came out perfect and were delicious. I forgot a coupon at home so will have to find it and go back soon. And they advertise they also will do take out for you so we will take advantage of that also. This was the second time we were there. The first time everything was very good. The second time they had three large parties and the restaurant was completely full. The kitchen seemed overwhelmed. Food was coming out very slowly. (one table of five left complaining they were sitting over an hour and only received bread and water. Our food was overdone and my fried calamari was actually burnt.